Ladies and gentleman, a Sway. Move over, Word and PowerPoint. Get ready for the first new Microsoft Office program in 10 years. Microsoft (MSFT) unveiled a new application Wednesday for creating and sharing documents across devices. It's called Sway, and it offers users the ability to instantly create slick-looking presentations viewable on any Web browser and device. 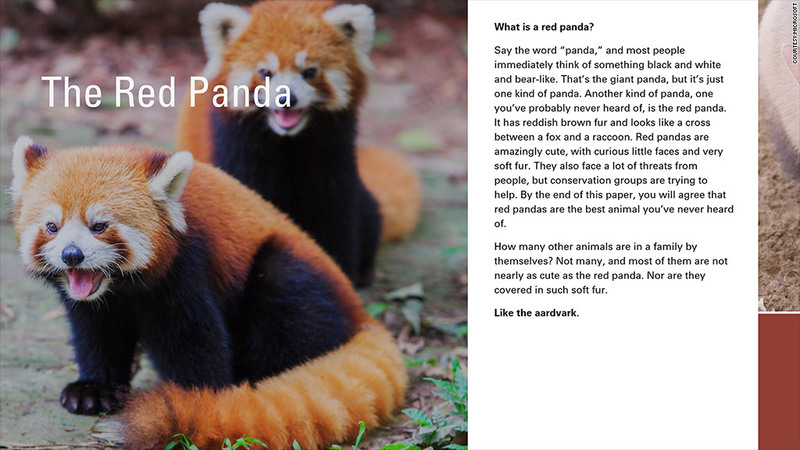 A "Sway," Microsoft says, is "an interactive, Web-based canvas that brings your ideas to life." It's designed so that "you're always done" -- images and text boxes are arranged and rearranged on the page automatically as they're added, maintaining a presentation-ready format. Sway automatically rearranges documents -- called "Sways" in Microsoft parlance -- depending on what kind of device you're using, so that a memo you dash off on your smartphone still looks sharp on a desktop. You can also choose from a number of possible layouts -- for example, displaying photos in a slideshow, a grid or an interactive stack -- and cycle between them by clicking the "remix" button. Adding media is a simple matter of dragging and dropping from sources like Facebook (FB), YouTube or your personal devices. You share Sways via URLs generated by the program. They're viewable on any Web browser and on any device. That's important because with Sway, Microsoft says it's targeting the more than 1 billion people worldwide who have smartphones but not computers. So who's going to use Sway? For anyone who does regular presentations -- students, office workers, sales reps -- it's worth taking a look. It's sort of like a modernized, Web- and mobile-ready version of PowerPoint. The version of Sway Microsoft released Wednesday is still in "preview" mode. The company wants to get feedback from users on what more they'd like to see from the program, and it may add additional features. For now, you need an invitation to get access to the program. Microsoft says the timing of its public debut will be dependent on user feedback, but you won't need an Office 365 subscription to use it following the launch. New Microsoft CEO Satya Nadella talks often about positioning the company for a "mobile-first, cloud-first world," and Sway is another step in that effort. The goal is to make products like Office, Outlook and Skype staples for individual customers regardless of the device they're using, and to transform Windows from a desktop operating system to cloud computing platform that can be accessed from anywhere.